Developed by Onverse for Mac OSX and Windows, Onverse is a free online virtual world full of fun people and cool things to do. Unlike 2D social networks that simply give you a profile page, Onverse gives you a free 3D home, clothing, furniture and some tools to get you started. It’s your new virtual life in a massive virtual world. Everyone who joins Onverse can create an avatar and get a free apartment, then head out into the world to explore and find new friends. Explore ancient space temples, pirate caves, tropical islands, red rivers and other gorgeous landscapes. The Onverse economy runs on a dual currency model: Player Points (Player Points are the free currency in Onverse. PP are acquired through the use of tools or by playing games. PP can be used to buy approximately half of the items in the game.) and Cash Coins (Cash Coins are the paid currency in Onverse. CC are used to purchase exclusive/rare items, pets, mansions and penthouses. CC can be converted to PP by an NPC at a rate of 1,000CC for 10,000PP. CC can be purchased online or be freely obtained by recruiting new users and participating in promotional offers). 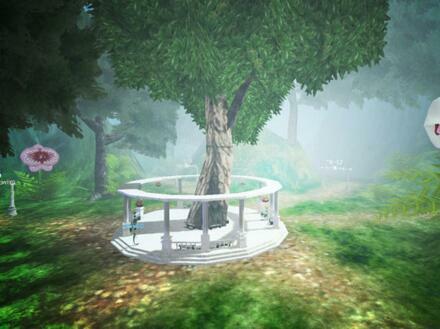 Aside from your avatar, your virtual home is probably the most important place in Onverse. It’s a place in the world to decorate and call your own. Invite your friends over for a dance party or use it as a meeting place from which to venture out and explore. Everyone who signs up for Onverse can get a free apartment. There are apartments both in the Hub and on Volcano Island, with more likely to follow as we add new areas. Simply find an apartment that is unoccupied and purchase it through the home control panel, what we call the Homepoint. When your apartment starts to overflow with stuff, you might want to look into a larger pad. Volcano Island is our first community where you can find a home to call your own. With over 40 houses to choose from, there are many different shapes, sizes and locations from small bungalows to mega-mansions.